Meet the Fujifilm X-E3, the latest addition to the X Series range of mirrorless cameras. 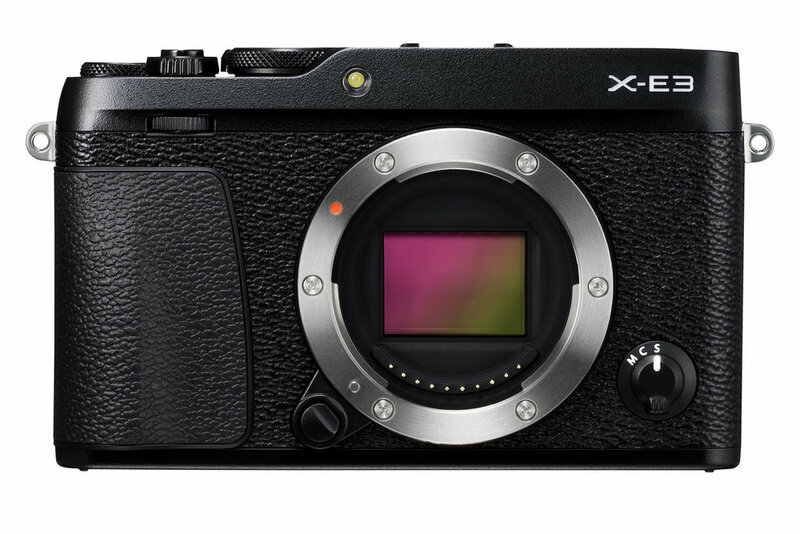 Fujifilm has announced the successor to the popular X-E2 – the X-E3. Styled as a lightweight and versatile mirrorless camera, the X-E3 is equipped with a 24.3MP CMOS sensor and introduces Bluetooth wireless communication, meaning it can paired with a smartphone or tablet for wireless image transfer. Other noticeable features include a large phase detection AF area, AF speed of 0.06sec and upgraded touchscreen operation. We love the X-E2, so we’re very much hoping the X-E3 is even better! Fujifilm is delighted to announce that it will release the Fujifilm X-E3, the latest addition to the X Series of premium mirrorless digital cameras on 28th September 2017. Stylish, compact and portable, the X-E3 packs a powerful punch, with the inclusion of Fujifilm’s iconic 24.3MP X-Trans CMOS III APS-C sensor and the X-Processor Pro high-speed image processing engine. The X-E3 is the first X Series model to feature Bluetooth low energy wireless communication. Users can pair the camera with their smartphone or tablet device for easy transfer of pictures taken using minimal power – perfect for sharing images with friends and online. The X-E3’s premium exterior design, agility and functional beauty make it a mirrorless camera that’s a pleasure to own and fun to shoot with at the same time. Small, stylish yet deceptively powerful, it’s ideal for capturing images and sharing stories. 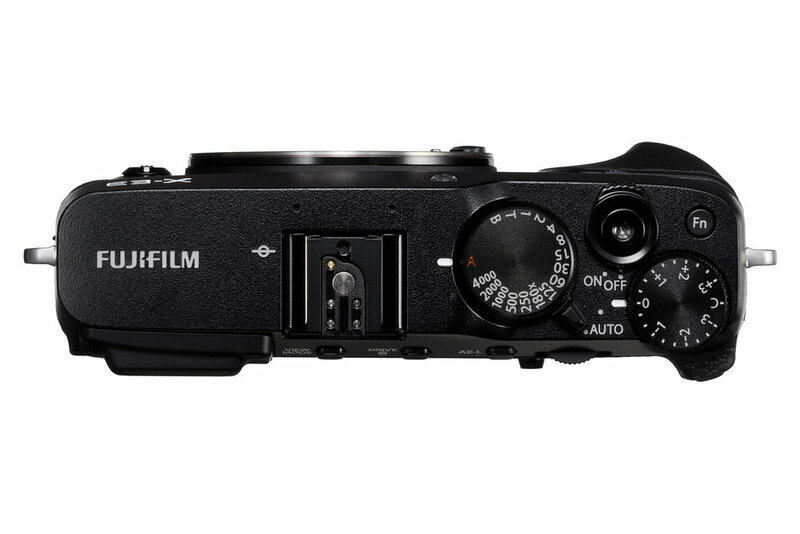 Fujifilm redesigned the X-E2 camera body (released in November 2013) to create the X-E3, arguably the most compact and lightweight model within the X Series interchangeable lens camera range, with a viewfinder. The top plate of the camera body features two dials, one for shutter speed and the other for exposure compensation. The dials, milled from aluminium, have a high-quality appearance and deliver a reassuring click at every notched setting. The exposure compensation dial now has the C position to enable exposure compensation of up to ±5 stops in 1/3 steps, which enhances the basic operability of photography. The X-E3 is also equipped with an Auto mode selector lever for selecting the fully-automatic Advanced SR Auto mode where the camera chooses the optimum settings for a given scene. The X-E3 features a 24.3-megapixel APS-C sized X-TransTM CMOS III sensor and X-Processor Pro image processing engine for outstanding image quality and high-speed response. 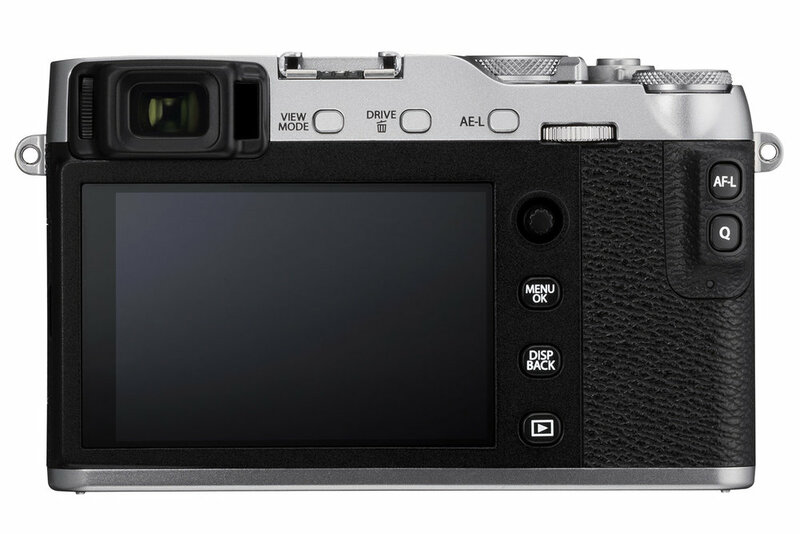 The X-E3 features a large phase detection AF area and an updated algorithm to deliver a fastest AF speed of 0.06sec. The X-E3 also offers 5.0fps Live View shooting, a quick start-up time of 0.4sec, a shutter time lag of 0.050sec and a shooting interval of 0.25sec. Thanks to the newly developed image recognition algorithm, the X-E3 is able to track moving subjects twice as fast as previous models. This is the first X Series camera to offer Bluetooth capability. Pair it with your smartphone or tablet device, in advance of shooting, to easily transfer pictures you have taken to the smartphone or tablet device via the smart-device app, Fujifilm Camera Remote. The X-E3 is capable of recording both Full HD and 4K video using the X Series’ reputable Film Simulation modes. You can output recorded video to an external monitor, via the HDMI port, and input audio from an external microphone.